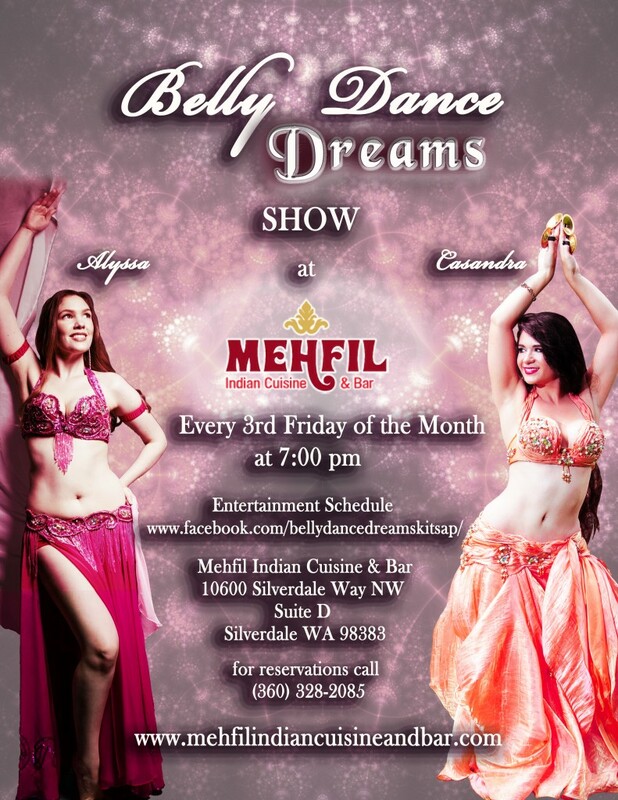 Introducing Belly Dance Dreams at Mehfil Indian Cuisine & Bar in Silverdale! 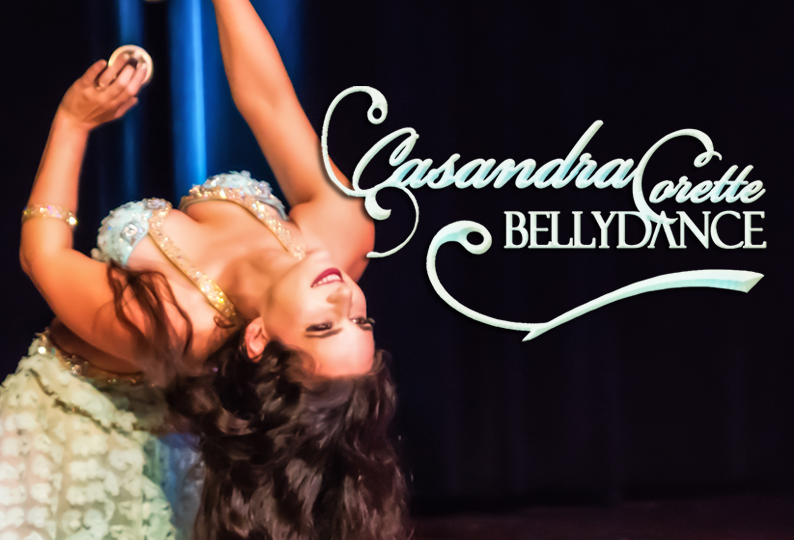 Currently the only belly dance show in Kitsap county! 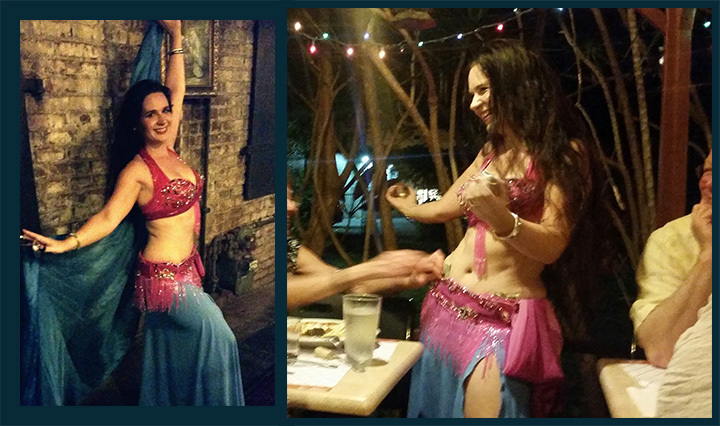 Enjoy belly dance entertainment while you dine! Always family friendly. Come enjoy the delicious Mediterranean cuisine and the show!! Dancer accepts tips at restaurant shows (tipping the dancer is a Middle Eastern tradition, to show appreciation if you are enjoying the show), they may be placed in her side hip belt as she will indicate to tipper, or simply handed to her during or after the performance. This is a family friendly environment, please tip respectfully. Any tips are always very appreciated! However do not feel like you have to tip, you don’t!